I go to Disneyland at least a couple of times a year because I love it so much, and I recommend that EVERYbody consider going. It's hard not to compare it to Disney World when there are so many similar things in each park. 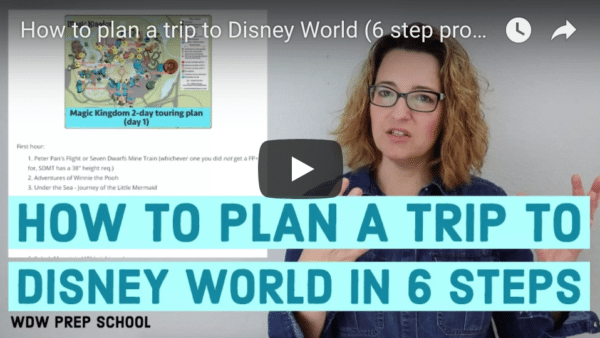 Today I have advice for how to do Disneyland when you're a Disney World veteran so you can prioritize your time there. When booking your hotel, there are 3 on-site resorts, but there are also many off-site Good Neighbor Hotels that sell Disneyland tickets and are within walking distance of Disneyland. We usually stay at off-site resorts because they are so affordable (we once paid $84/night and got 2 rooms for our family) and have easy access to the parks (most are within walking distance). Since many resorts are a 30 minute walk away, we use Uber several times a day to get us to and from the parks. The rate was about $4-5 each way and there were always cars available within 5 minutes. Disney World veterans can probably plan to spend 1 day in each park. If you want to visit other things in southern California, our family finds it helpful to do 1 park day, then 1 visit to a nearby city, another park day, and then a visit to another nearby area. This really helped us balance sleeping schedules (because we stay up late on park nights but can sleep in the next day) and driving time (traffic is crazy and it's nice to only have to deal with it every other day instead of multiple days in a row). Dining reservations for Disneyland restaurants can be booked up to 60 days ahead of time, although park hours are often not available at that time so you kind of have to plan blindly before knowing the hours. As you look at a list of Disneyland attractions, you'll notice a lot of similarities with Disney World. Some of those are worth skipping but many are actually much better at Disneyland so you shouldn't miss those. You will also notice that there aren't as many FastPass options at Disneyland, but there are more single rider options than Disney World. Grab another set of FastPasses before leaving for an afternoon break (available at Indiana Jones, Splash Mountain, Big Thunder Mountain, Royal Theater, Space Mountain, Star Tours, Roger Rabbit's Car Toon Spin, and sometimes available at Haunted Mansion). Just be sure to check the return times so the time on your FP is in the evening when you return. Grab FastPasses for World of Color (located near Grizzly River Run). These FastPasses are disconnected so you can get them even if you have other FPs. If you got FastPasses for World of Color, get in line more than an hour beforehand. We were the blue group and found a spot on the bridge which we loved since it gave us a great view of the show. During 1 of our trips, we visited Hollywood 1 day and San Diego on another day. I used the DLR Prep School site to plan our whole trip, including these visits. Don't forget a jacket! Temps in the mornings and evenings can be quite cool. Pack a lanyard. I used to always have a lanyard for Disney World trips but MagicBands have meant that I no longer bring one. However, they are still useful at Disneyland. There are several airports that you can fly into (see this post for all of your options). John Wayne is the closest to Disneyland and will help you avoid heavy LA traffic. Sooooo...anybody planning a trip to Disneyland and have other questions? I'd highly recommend that everybody consider a visit as we really, really love visiting. The 60th anniversary stuff is likely going to be around through September 2016 so I'd suggest visiting during that time period if you can. I am going to a conference later this year and I was able to get discounted twilight tickets for after 4pm at DLR. What should we make sure we hit in the short time we’ll have? It will be me and my 9 yo son. Never been to DLR before, quasi WDW vet. Thanks!! We are WDW vets, but have never been to DLR… despite living on the West Coast! I am in dire Disney need but there aren’t any good times for us to plan a week or two to Florida, so I’m thinking we could drive over to Cali for 3 days and do Disneyland. 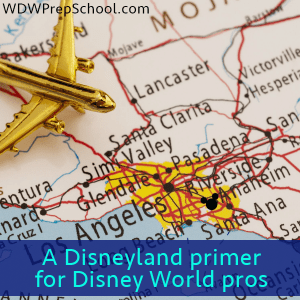 I felt really lost about where to start (there is hardly anything out there about DLR compared to info about WDW!) so this post was helpful. Thank you! Driving cross country to celebrate son’s 21st bday at DL and attend D23 expo. Dates are Aug 13-16. Purchased 3day tickets to the expo already, and planning to get 4 day tickets to DL/CA and pop in between expo sessions. Is that feasible? Do u have a breakfast character meal recommendation for WDW veterans? My family and I did WDW in September 2014 and May 2015, and we plan to do DLR at end of Sept/early Oct since we have to be in Anaheim for a wedding. I think we know what tickets to get, but what I’m having trouble with (as it seems WAY easier to figure out for WDW) is a place to rent a stroller for a toddler. I don’t want to go with a park stroller, but rather somewhere good and affordable for a week stay in Anaheim. Any suggestions? Hi, this doesn’t have to do with disneyland. but i couldn’t find another place to ask this. So, me and a group of friends are planning to plan a trip to Disney World in one or two years. There is three of us and we are fourteen and fifteen now and will be 16 and 17. I am a disney World expert and my friends are traveling experts so we think we are qualified to do this trip on our own. Money wise, we know that since we are younger we are going to have to look for a lot cheeper way of doing things than usual like staying at pop century instead of boardwalk, doing the dining plan instead of just buying whatever we want, but mainly we just want to do this vacation correctly rather than screwing everything up. Is there any advice you have for us for planning our trip? good information! I consider myself a Disneyland veteran and love WoC but never had the patience to stand in line a full hour with a fast pass, but we don’t always get the best spots either. All spots are pretty good! For DL, I would definitely suggest it’s a small world because you will recognize some Disney characters which is fun. Also, Mickey’s Magical Map is a fun musical show that “comes off the canvas” with some rarely seen characters like Mulan and Pocahontas. For little kids, Toontown is fun and immervise and not seen at WdW. Thanks for this report! Great article. AZ a Disneyland vet, have you written a reverse article? Not yet, but that’s a good idea. That would be awesome. I’ve been to Disneyland 5 times in 6 years and I’m going to WDW in October for the first time ever for anyone in my family with my 9, 8 & 4 year olds. My husband wants to skip doubles but we’re not sure what those would be. Also the planning is crazy compared to dlr, where we’ve not made more than one reservation per trip. Coincidentally – Going to Dland as a child we ALWAYS started our trip with Matterhorn as the first ride (although the line moves fast so don’t be intimidated if it wraps around the mountain a bit). We also do the monorail to downtown Disney at lunch for Earl of Sandwich! Finally, we like to watch World of Color from the Bridge as well! (here’s a tip – stake out a place on bridge right up against the railing and send someone in your party out to get food at Corn Dog Castle and you can sit and eat while you wait for the show to start). I have to give props to Mr. Toads Wild Ride for any WDW veterans who visit disneyland- as I don’t believe you have that ride and as a lawyer I find it amusing… and warm. Its also one I remember vividly from my younger days, so there’s that. We are going to Disneyland in July for the first time. I grew up near Disney World and have been a ton of times. We only have 1 day to visit Disneyland. Which park(s) should we visit? Really want to see both but not sure if there would be time. We won’t be doing too many super scary rides due to my small son and husband don’t like them. Thanks. what hotel did you use? We stayed at the Comfort Inn this time. I stayed at Springhill Suites w/friends earlier this year. Perfect timing Shannon!!! I am doing the Adventures By Disney Backstage Magic in early July and while the guides give us fast passes in the evening to use on our own, I was fretting that not many rides HAVE fast passes! We are having a bonus extra day a the parks ourselves so your plan is PERFECT and really helps me understand what to skip – lol that TSM is one of them!. I know our guides get us seats for parades, WoC, and F! but I did book the F dining pkg on my own for last night. Overkill to see F! twice? I was so excited for this post and podcast episode! I’m a WDW vet, just went last Oct and have only been to disneyland once -sometime before Carsland opened. So next week will be my first time in 4 years. SO excited! It will be me and my boyfriend and then another day we will be with a group with two other couples, so 6 including both of us. We were planning on getting a 3 day park hopper pass. We plan on going Thurs/Sat/Sun (this day with friends). Fri we are going indoor rock climbing in Santa Ana. We have a dinner reservation for sunday night at Carthay Circle. Reading this article made me wonder if we should scale it down to two park hopper days. What would you do in my situation? Stick with park hoppers or do a park per day? We are planning on seeing Paint the Night one night and World of Color on Sunday with our friends. Thank you for all your help 🙂 this is perfect timing for my upcoming trip next week. Thank you! 🙂 Going with 3! Hi Amanda – stick with what you have. I am going for the first time in July to DL after being to WDW TONS of times. We are going with ADventures by Disney and eventhough they provide a lot of service etc. to us during the stay, I was encouraged by other DL vets to add the 4th day on and tour ourselves. I so appreciate Shannon’s thoughts on the WDW VET thing and it will be helpful but I think your added day is a good thing. From what I have read place is really crowded with celebration stuff etc. so being able to leave and return following day will be nice! We might be going but with a little one not tall enough for most of the height restricted rides. We are wdw vets and also LOVE character interactions, particularly characters we can’t get at wdw. Any thoughts?